My favorite sources for putting things in order. We adopted a minimalist approach in our home and it has made me more thoughtful about what we bring into it, even when it comes to organizing. 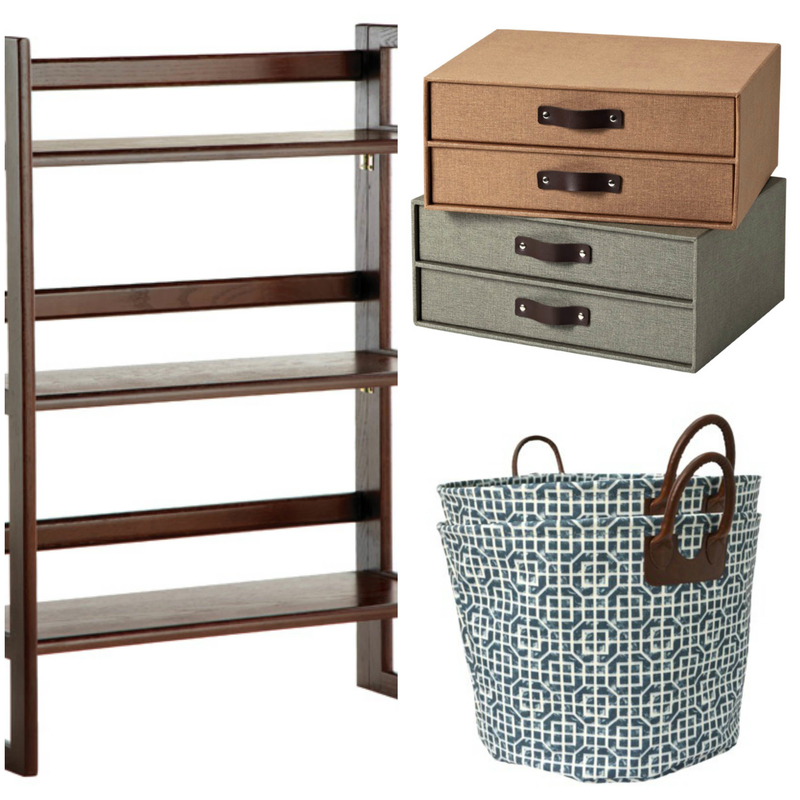 These storage solutions are multi-purpose, compact, and look great too. Folding Shelves – They can be stacked and fold completely flat, making them easy to hide away and move when needed. Linen Boxes – Beautiful organizers for the closet or office, these Marten boxes can be lined up on the folding shelf and hold anything from stationary, to scarves, to fishing flies. Jewelry Organizers – If I can’t see it, I probably won’t wear it. Open displays of your favorite jewels can double as wall art and make your accessories easy to find. Get a unique, handcrafted organizer from etsy. Decorative Bins – Soft storage in fun prints for corralling toys, clothes and other loose items. We keep two of these in the bedroom for those clothes “in limbo.” Also makes a good dropbox for those things you carry when you walk through the door. Closet Organizers – The Real Simple line has reasonably-priced solutions for storing everything from shoes to xmas ornaments to gift wrap. I have one for sweaters and one for shoes hanging in my closet. These days I consider the lifetime of a product and whether it will serve me in the years ahead. These organizational tools help streamline my life now and can be packed up easily for wherever the road leads next. Hi, I'm Maryn. A Native angeleno/English major still trying to figure it all out.